With consumption set to soar, we need to look for alternatives. What’s the story? We’ve known for some time that cows reared for beef or dairy products produce a lot of greenhouse gas emissions – and with demand expected to double, this is an increasing concern. But what hasn’t been fully understood until now is that today’s levels of beef consumption can also have a detrimental effect on human health. Working with the Oxford Martin School in the UK, we’ve found that incorporating meat alternatives into diets could reduce diet-related mortality by 5%. This is about dropping beef entirely. Not at all. 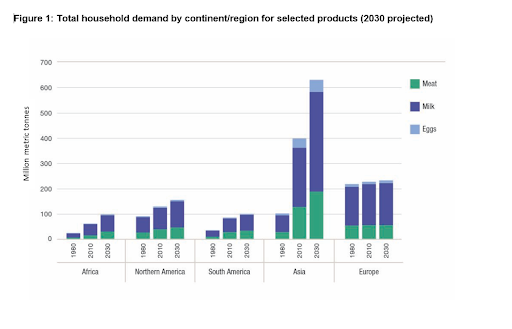 The beef and dairy industries are hugely important: not only are they popular with consumers, but livestock also provides livelihoods for an estimated billion people worldwide. Animals are also good at consuming vegetable waste. The main challenge is that the demand for beef is rising with no sign of a plateau, and this is not good for the environment or our health. 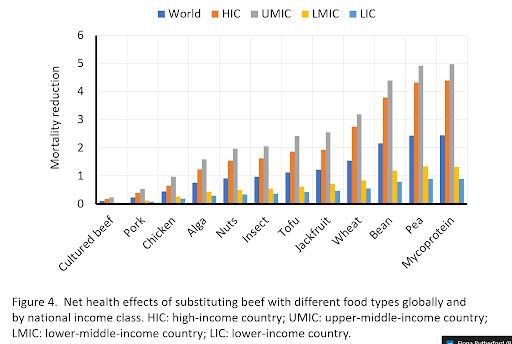 So, if we should eat less beef, what are the alternatives? Pork and chicken are excellent alternative sources of protein that produce significantly less GHG emissions, but using them as a beef replacement would only reduce mortality by between 0.5-1%. Nuts, insects and tofu come in at the mid-range, reducing mortality by between 1% and 2.5%. The best alternatives for health are beans, peas and mycoprotein (fungi-derived nutrients), reducing deaths by 5-7%. This is largely due to the high fibre content of these alternatives, in addition to the protein they provide – a nutrient that is significantly lacking in the diets in high- and upper-middle income countries. What else do we learn from this report? The conclusion that structural reform is needed to reduce our reliance on beef and dairy is fairly clear-cut, but there are some interesting nuances that come to light. Lab-grown meat has generated a lot of excitement as a potentially healthier, more ethical and more sustainable alternative, but its health benefits compared with traditional beef are marginal, and for the time being are still quite emissions intensive. This is largely because production is in its infancy and lacks economies of scale. The hope is that, once production becomes optimized, it should be possible to produce lab-grown meat locally in cities, in much the same way that craft breweries make beer today. 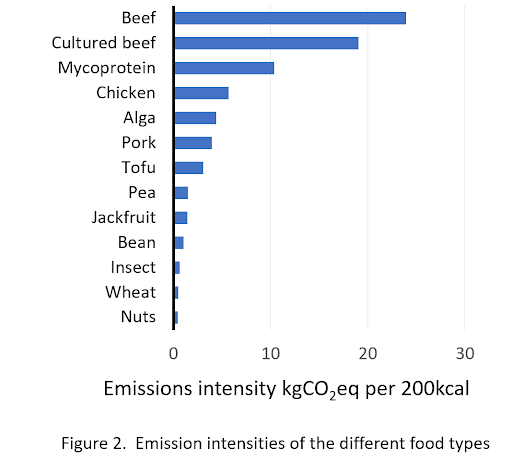 Mycoprotein, while being a protein hero, does less well when it comes to emissions, indicating that a good mix of protein sources is going to be key if we are to eat more optimally. Is it time to call Peak Beef? Not exactly. Beef – along with pork, chicken and other animal-based proteins – is energy‑dense and protein‑rich. But the purpose of this study is to drive discussions in Davos this month, where for the first time a growing body of major industry producers, as well as environmental organizations, are coalescing around the need to create alternatives to farmed animals. Such a broad base of support will be essential if the world is to have any chance of meeting the Paris Agreement goals. What about the farmers? Well, with a billion people around the world depending on livestock for their living, and with demand set to soar, the need to encourage more sustainable production methods will be crucial. Labour and inputs typically represent 70% of production costs for smallholder farmers, so the situation will require government, innovation and other support to farmers to help them develop improved production methods that intensify their operations and improve their environmental impact. The report, Meat: The Future Series - Alternative Proteins, is available here.